As everyone reading this blog already knows, we started taking our first (of many) notes in American lit. Besides that, i’m not really complaining, considering most of the notes are already there. the only time i had to write was when i wanted to add something, which wasnt even really necessary. The notes sort of changed my view on short stories, making me think that they aren’t as simplistic as i had originally thought, that they have much more structure to them than i had previously thought. I think its interesting that the authors use catharsis to really draw the reader in, and make them relate to the characters. 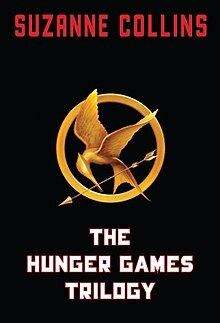 Its a brilliant way to get people interesting in your book, and i think an excellent example of this is The Hunger Games (because i cant think of any other book). It made me realize that the author really wanted to hook in that young teenage demographic, making them think they have a connection to Katniss (they dont), therefore promoting sales and such. Although she wants to appeal to the teenage demographic with the love story weaved into it, she also makes it more appealing to the more mature demographic, by adding the violent (and much more interesting) rebellion aspect to it. The author understands that more readers means more cash in the pocket, so she used the stereotypical love story to draw in the younger demographic, and the more mature themes for the more mature audience. As for week two, its really starting to sink in. The stress, the unrelenting school work dumped onto us, the drama of the younger kids who have nothing better to do than trash each other. It isnt that bad yet, but im sure it will eventually get there. The only class that is ridiculously over- assigning homework is chemistry, where we have a test of some sorts every other day. the other classes are mild, geometry’s starting to kick up.